If you have any questions about the Hull 10218 information page below please contact us. The beautiful 2013 superyacht Hull 10218 is a 46-metre displacement vessel, with hull built by Baglietto in Italy, and subsequently completed by Proteksan Turquoise in Turkey. 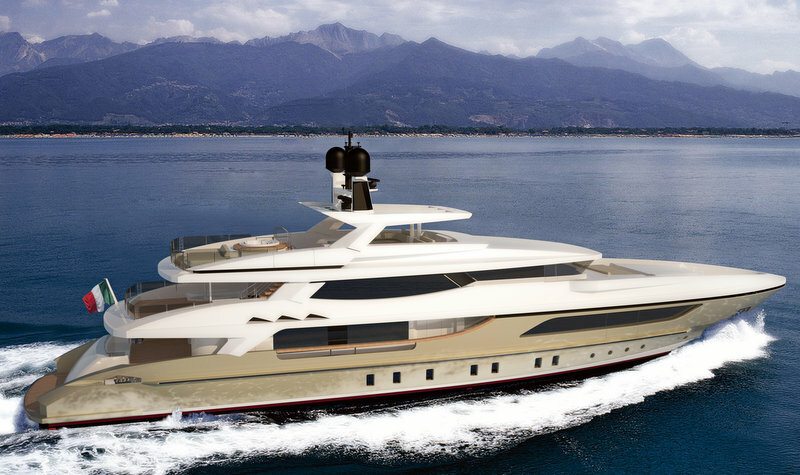 Designed by Francesco Paszkowski, luxury motor yacht Hull 10218 features an unprecedented, dynamic profile, created by a unique combination of soft shapes and square lines. Luxury yacht Hull 10218 boasts lovely, contemporary interiors, providing comfortable accommodation to up to 10 guests in 5 magnificent cabins. There is a master's stateroom on the main deck, as well as four guest cabins, two double and two fitted with twin beds, on the lower deck. The crew quarters, including three twin cabins with head and shower, a dinette and galley, a laundry, can be found on the lower deck, while the main galley and the storeroom are on the main deck and are connected to the dining area. Made of steel and aluminium, the 46-metre superyacht Hull 10218 can achieve a top speed of 16,5 knots and a cruising speed of 12 knots, thanks to her twin Caterpillar 3516B DITA diesels. ABS classed and MCA compliant, the vessel features a beam of 9,50m (31'17'') and a maximum draught of 2,90m (9'51''). 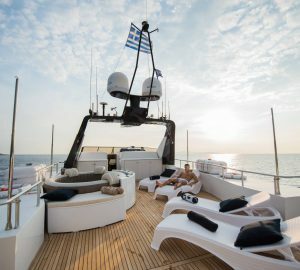 Accommodation aboard Hull 10218 yacht is divided into 5 well appointed cabins, comfortably sleeping 10 guests in total. There is a master's stateroom on the main deck, as well as four guest cabins, two double and two fitted with twin beds, on the lower deck. The crew quarters, including three twin cabins with head and shower, a dinette and galley, a laundry, can be found on the lower deck. We do have available further amenity, owner and price information for the 46m (151') yacht Hull 10218, so please enquire for more information. The luxury yacht Hull 10218 displayed on this page is merely informational and she is not necessarily available for yacht charter or for sale, nor is she represented or marketed in anyway by CharterWorld. This web page and the superyacht information contained herein is not contractual. All yacht specifications and informations are displayed in good faith but CharterWorld does not warrant or assume any legal liability or responsibility for the current accuracy, completeness, validity, or usefulness of any superyacht information and/or images displayed. All boat information is subject to change without prior notice and may not be current.